How We Test Cot Mattresses - Which? 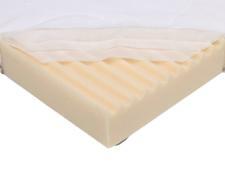 Our cot mattress reviews tell you how firm and supportive a mattress will be as your child grows, how easy it is to clean and how resistant to leaks. Babies sleep a lot. This means your cot mattress is going to be one of the most used items you're buying for your newborn. 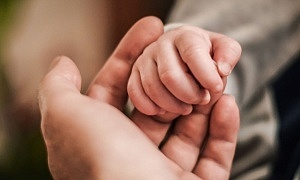 Your baby will also grow quickly, which means a cot mattress needs to cope with the changing weight bearing down on it. And there are going to be plenty of little accidents thrown at it as well. You want to make sure that your baby’s cot mattress will stand the test of time. We put all the mattresses we review through a variety of tests that simulate two to three years of use, meaning you can have the confidence that your cot mattress will hold up. 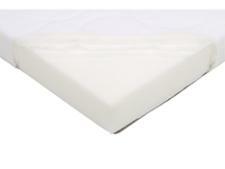 Our cot mattress test is designed and informed by our years of testing experience. We buy all the cot mattresses we test ourselves so you can be sure the reviews you read are entirely independent and unbiased. 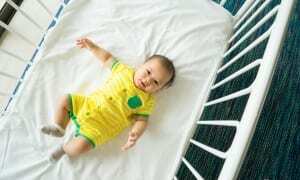 How well does the cot mattress support my baby? Is the cot mattress firm enough? How resistant is the mattress to being penetrated by moisture? Find out which mattresses keep your baby supported in our cot mattress reviews. We use a 12kg and 20kg dummy to test how well the cot mattress is at supporting your child as he or she grows. As most mattresses are reversible, we test using each dummy on each side of the mattress to give you a good idea of how well overall the mattress is at providing the right support. We also use two heavy weights (positioned to represent a child's head and bottom) to see whether the cot mattress sags once these weights are placed on it, or keeps your child's body totally supported. A supportive mattress will help keep your baby settled while sleeping. We test the cot mattress to see how firm it is as soon as we get it, before we start any of our other tests. This means we can tell you how firm the cot mattress is when it is new and how its firmness compares with other mattresses. One of the tests we do for this investigates whether a mattress is firm enough to help prevent your baby from being smothered when he or she rolls over onto his or her face while sleeping. As well as sleeping on the cot mattress, your baby will also be bouncing on it and playing on it as he or she grows and that's not to mention all the sitting on the mattress you're going to be doing for bedtime stories. You want to make sure that through all this wear and tear that the mattress you choose is going to stay firm. Each cot mattress we test is put through the equivalent of roughly two to three years use. We roll a barrel-shaped weight over the cot mattress several thousand times. We then record any changes to the mattress, including damage. A good mattress will be able to withstand our durability test and retain its firmness throughout. It should also not lose any of its height or ability to support your child’s body. How resistant is the mattress to moisture? The truth is that your cot mattress is going to be subjected to a lot of liquids. Babies' nappies leak, they get sick and numerous spills are inevitable. Not only is important that your baby doesn’t sleep on a damp cot mattress, it is equally important that it stays clean of any bad bacteria. But if liquids are settling deep into your baby’s cot mattress, it is going to be difficult to tell if the mattress is still hygienic. We test each cot mattress to see how resistant it is to taking moisture into its inner layers. We have found that some are very good at preventing moisture permeating their inner layers, while others allow liquids to pass through easily. You will probably be cleaning your cot mattress from the start. We test each mattress for how easy it is to clean. 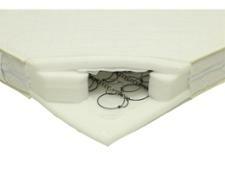 If the cot mattress comes with a removable cover we see how easy the cover is to get on and off. You don’t want to be stuck having to fiddle with a mattress cover when trying to clean a soiled mattress in the middle of the night. We also assess how the mattress covers fare after several washes and check to see if there is any shrinkage or bobbling to the fabric. Each of the above tests count toward a total test score. This score is the overall percentage you will spot next to each of our cot mattress reviews. Our reviews completely ignore price. A cot mattress that scores 70% or above earns a Best Buy recommendation from us, while a cot mattress that scores 40% or below earns a Don’t Buy – which means they did so poorly we recommend you avoid them.